Moose hunting is my passion and it’s why I am an outfitter. Our team of moose guides are well tuned into calling moose and we work together to make your trip a hunt you will never forget. Usually all hunters have an opportunity at a bull and we are at around 90% harvest on the last 5 years. We can average 40″ most years with some bulls in the 50″ class. Every year we have bull moose com right through camp. This is not a physically demanding hunt. 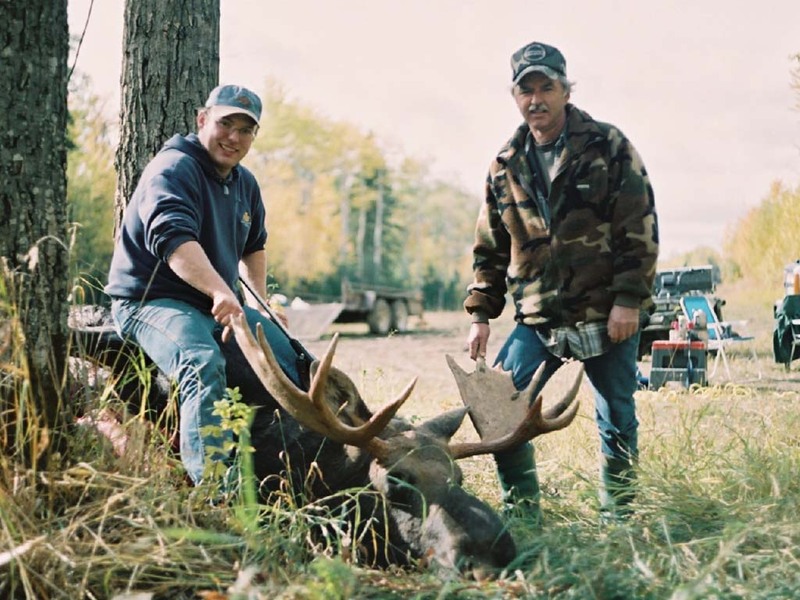 Moose Rut Hunts – September-October This moose hunt is done in the calling season during the prime moose rut. 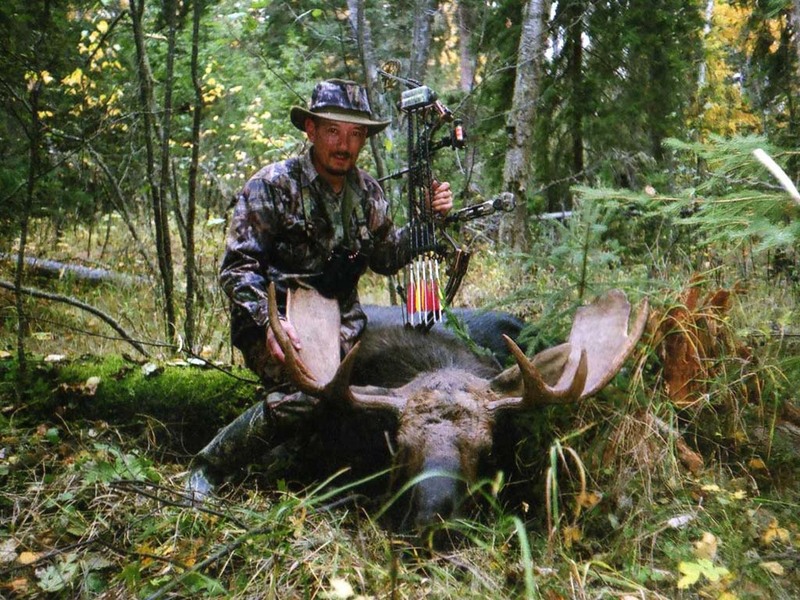 In September and October moose respond well to calling and can be taken with both bow and rifle. 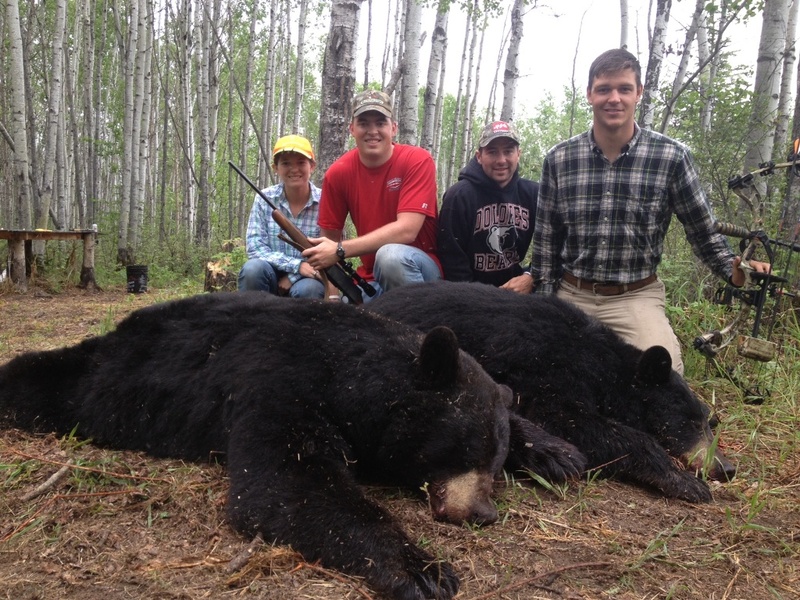 Rifle hunters regularly achieve up to 80% success on a good size bull that can have a 60″ spread or better. Other hunters are rarely encountered in our hunting area because it is so isolated and hard to access, thus making the moose hunting amazing. A September moose hunt can be combined with black bear and wolf to make the most of your hunt in Canada. It is usually mild during this season but the weather can be volatile, so be prepared. These hunts are sold on the basis of 2 hunters per guide with high success rates on past hunts. All terrain vehicles and Argos will be the main sources of transportation. In some cases 4X4 trucks will be used. Our hunts will range from 7 to 10 days. Special packages may be arranged. November Moose Hunts Our November moose hunts enable us to access areas where one normally would not venture in the calling season. With the ground frozen, we head into zones where some trophy moose have seldom encountered another hunter. 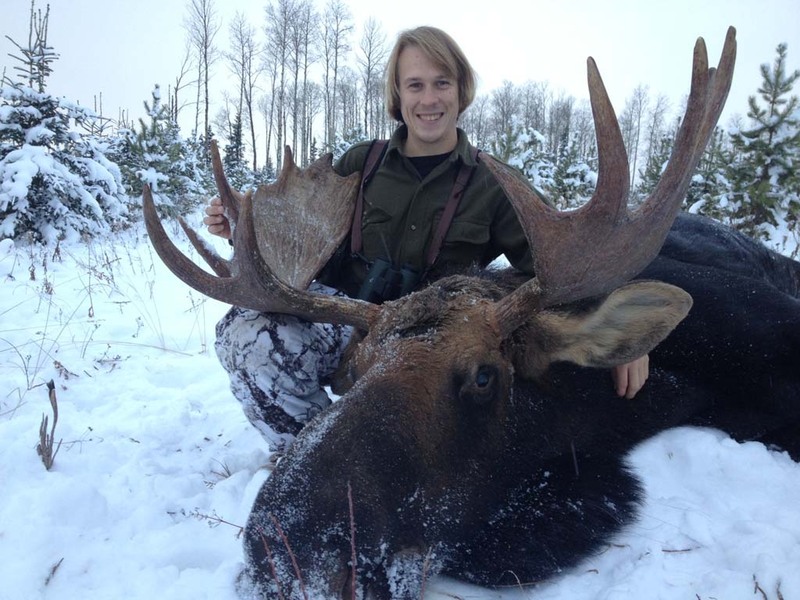 In these remote camps, your chances of harvesting a very large bull moose are increased. During the hunt we will travel looking for feeding moose and fresh signs in logging cuts and creek bottoms. In November, travelling into the home of the moose is made easy by snowmobiles. We can travel much greater distances than we can in September and October, accessing areas that are rarely, if ever, hunted. Hunting this virgin territory can yield some magnificent trophies. We can combo this hunt with baited wolf or bison. Snowmobiles, all terrain vehicles, and Argos will be the main sources of transportation. In some cases 4X4 trucks will be used.